I am in the process of preparing my significant out-of-print publications for a renewed presence in the internet marketplace. For me it is a time of harvesting and gathering-in, no longer the forest-dweller of Hindu life stages, but not quite the renunciation of the sannyasin either. The tools of our contemporary technology, no matter how vilified or abused, offer writers a chance to preserve their major work for historians, students, or the wandering bibliophiles that still roam our world. I will report on that venture as I move along in the coming months. The first document to reach the light is a slightly revised and extensively re-formatted version of my first book, published by University Press of America in 1979. The cover alone, developed by Sylvia and my graphic arts wizard daughter Aneliese, is worth the price! 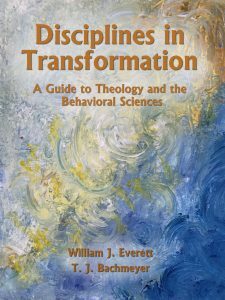 Over the past forty years, Disciplines in Transformation: A Guide to Theology and the Behavioral Sciences, which I wrote with T. J. Bachmeyer, has proven to be a helpful resource for people seeking to navigate the intricate relationships between theological disciplines and the behavioral sciences. 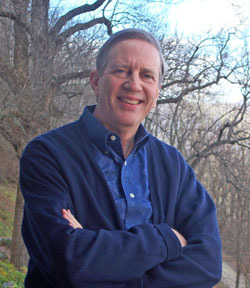 Tim was my colleague at St. Francis Seminary School of Pastoral Ministry in Milwaukee, Wisconsin, where we developed an ambitious curriculum in the 1970s that forms the basis for this work. Even after Disciplines went out of print, photocopies circulated in some reaches in the educational universe. It seems to me that it can still provide a unique theoretical framework for approaching these issues. Whether individuals or libraries want to have it for its wealth of retrospective material or for its analytic perspective, it is in easy reach, now listed on Amazon. In a fairly short compass (one reviewer noted that if it were by a German academic it would have been three volumes), it lays out a typology for ordering the domains of Christianity, personality, and society. It argues that these realms are composed not only of theories but of practices and fundamental commitments, ordered in various ways. It then shows how they can be knit together into “trilateral” packages to provide a more embracing grasp of the world known through these disciplines. In doing so, it provides a navigational and critical guide to the issues that arise in this interdisciplinary, constructive task. We were very gratified by the extensive critical analysis of Disciplines that the Roman Catholic theologian Gregory Baum provided in his own journal, The Ecumenist. Here are some snippets from his report and from other reviews. John D. Carter, Journal of Psychology and Theology, 9/1, (Spring 1981). 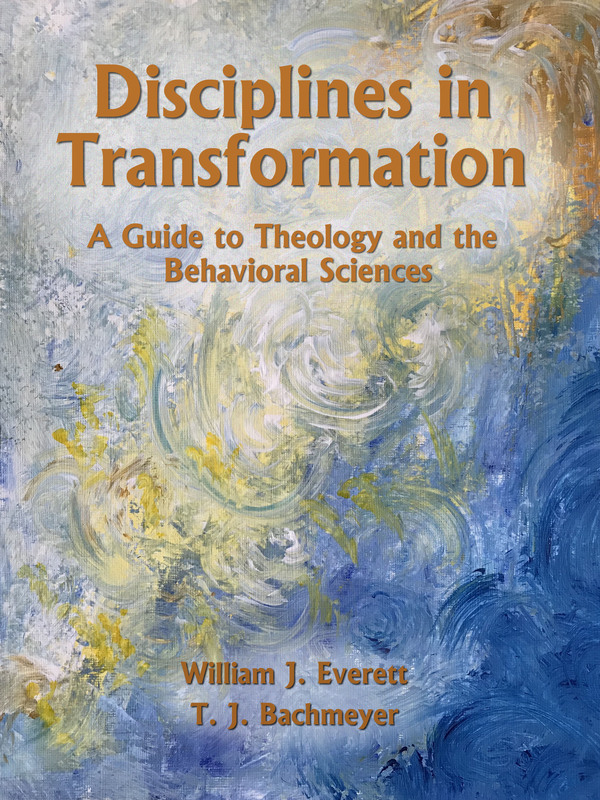 Disciplines formed the foundational method by which I subsequently constructed my work in marriage and family, religion and public life, ecology, and worship and ethics. It was the first in time, aside from my dissertation on the body metaphor in ecclesiology and society, and it also underlay the rest of my academic work. This entry was posted in Ethics, On Writing and tagged Disciplines in Transformation, Gregory Baum, T. J. Bachmeyer, trilateral analysis. Bookmark the permalink. May the future benefit, Bill. Thanks for including the reviews. I didn’t recall them. I especially liked the “immense benefit” comment plus Baum’s. And hearing from a former student must have been satisfying too. Still have the original from SFS days…sitting next to Sawdust and the Soul. It still keeps me disciplined while reaching out to others. Mining Memories on Cyprus 1923-1925: Photographs, Correspondence, and Reflections is available in a Kindle e-book format. Based on my maternal grandparents' involvement with re-opening the ancient copper mine at Skouriotissa, Cyprus, it contains 116 startlingly clear photos of mine life in those years as well as copious quotes from their correspondence. This memoir not only introduces readers to the people but also to the geography, machinery, and events shaping the early days of re-opening the world’s oldest copper mine. It also reflects on what it is to recover pieces of our past, rub off some of the tarnish of forgetfulness, and try to reconstruct a history that binds us to people and places far from our usual paths. The book is also an invitation to others, not only to recover forgotten or repressed parts of their memory, but also as a reconstruction of their identity. I am keenly aware, all through writing the book, of how Cyprus’s division between Turkish-speaking and Greek-speaking populations has made it very difficult for Cypriots to claim their joint history, appreciate the ecological unity of the island, and find a way toward a workable federalism grounded in a new social covenant among diverse peoples. To purchase a copy, just CLICK HERE. For readers' comments about the book, CLICK HERE. For previous blog posts leading to the book, CLICK HERE. 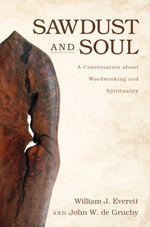 Sawdust and Soul arose from many conversations and joint woodworking projects I have had over the years with John de Gruchy—friend, theologian, and woodworker who lives in South Africa’s Western Cape but who has also spent extensive time in the US. We’ve talked a lot about our wood projects and how this traditional practice of turning trees into useful and artistic pieces shapes as well as expresses our deepest values and approaches to life as well as its transcendent source. 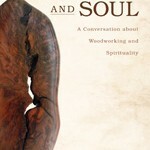 These are conversations about woodworking and spirituality. We’ve included a bunch of pictures of our work as well as some line drawings and poetry by John’s wife Isobel. And yes, our children get in some words along with the woodworkers who have been part of our community of inspiration and support. Our topics range from the shaping of a sense of balance in our lives to dealing with loss, memory, and our wonder as creatures in the midst of an amazing abundance of life and artful design. Whether you’re a tree-hugger, an all-thumbs reader, or an honest-to-goodness woodworker, we invite you into the conversation. CLICK HERE FOR A VIDEO CLIP! For an EXCERPT from the book, by permission of Wipf and Stock Publishers, CLICK HERE. Like works in wood upon a lathe, these poems are word-turnings that reveal the inner grain of our human experience. They are bowls to catch our turnings of memory, conversion, falling in love, and passing through our seasons and the wrenching turns that mark our lives. Above all these turnings are a shout of praise, a murmur of wonder, a turning away from life as usual, a merciful re-turning to the songs, images and stories that move our lives. 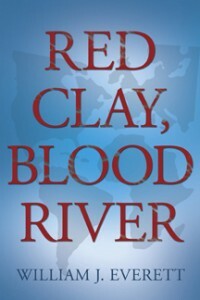 Red Clay, Blood River is a story told by Earth about two brothers from Germany and an enslaved South African woman whose lives bind together America’s “Trail of Tears” and South Africa’s simultaneous “Great Trek” of 1838. I am editing and recasting some of my previous writings into digital format to make them available free to interested persons and study groups. To see a list of these books and articles as well as to save them to your own computer, CLICK HERE. Guy Sayles's "From the Intersection"